Visit Saraswati Temple, a religious site dedicated to the Hindu goddess of learning, literature, and art. Built around a central pool filled with lotus flowers, the temple grounds are pleasing on the eye and ready to be strolled, explored, and photographed. With delicate stone carvings and ornamental features inside and out, the temple complements the nature of the deity with whom it is linked with artistic flourishes and impressive architecture. 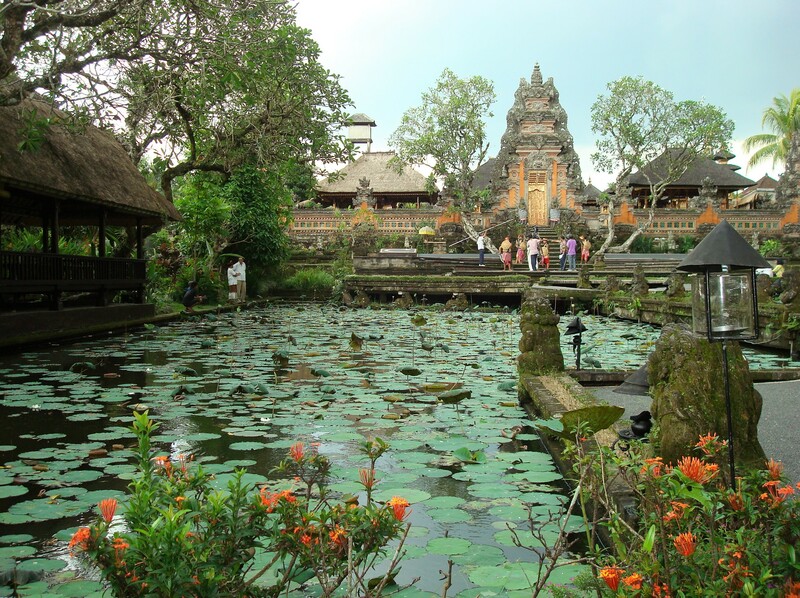 For Saraswati Temple and beyond, use our Ubud trip planner to get the most from your Ubud vacation. Bali is overflowing with beautiful ancient temples but this one is arguably my favorite of them all. It's hidden right in the middle of town but as soon as you enter the area it instantly feels more peaceful and calming. This has become a more popular stop so I recommend coming early or late so you have the place to yourslef to truly experience this tranquil water temples nature. Beautiful temple surrounded by lotus garden. A good place to take photos. It is a little bit touristy but still not too crowded. Strategically located and easy to reach, there are many places to eat just in front of the temple and in its surrounding areas. Very intricate and beautiful architecture, however access is limited. If you're around on a Saturday night definitely check out the traditional dancing show. The music is very impressive and both the costumes and dancing are top notch. Tickets are 80000 rupiah, which is a fair price for an hours entertainment. Every day, we help thousands of travelers plan great vacations. Here are some tips on how to use your Listing Page to attract more travelers to your business - Saraswati Temple. 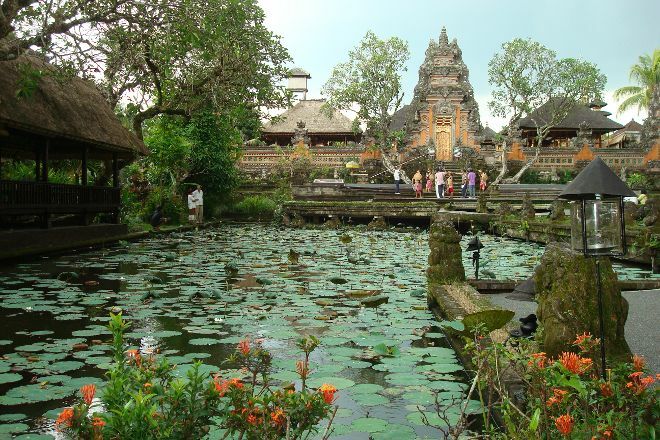 Promote your permanent link - https://www.inspirock.com/indonesia/ubud/saraswati-temple-a239835135 - on your website, your blog, and social media. When a traveler builds a plan from this page, the itinerary automatically includes Saraswati Temple. This is a great way for travelers looking for a great vacation in your city or country to also experience Saraswati Temple. Promoting your link also lets your audience know that you are featured on a rapidly growing travel site. In addition, the more this page is used, the more we will promote Saraswati Temple to other Inspirock users. For best results, use the customized Trip Planning Widget for Saraswati Temple on your website. It has all the advantages mentioned above, plus users to your site can conveniently access it directly on your site. Visitors to your site will appreciate you offering them help with planning their vacation. Setting this up takes just a few minutes - Click here for instructions.